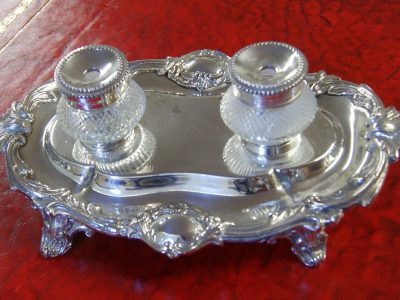 A rare and very collectable example of mid-Victorian Irish ‘Killarney Ware’ constructed circa 1870’s in Co.Killarney, Ireland. 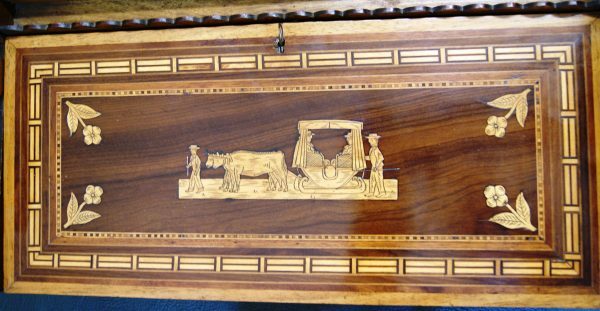 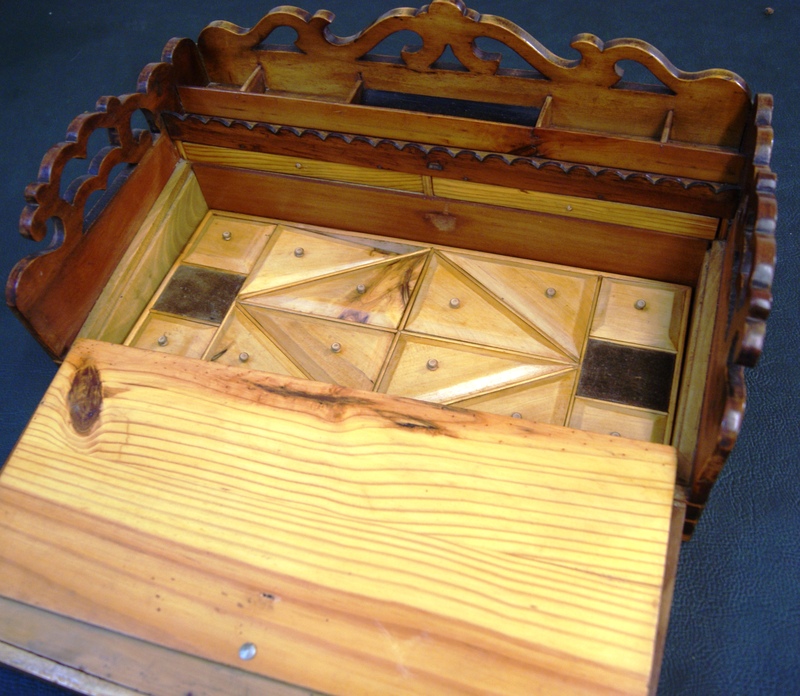 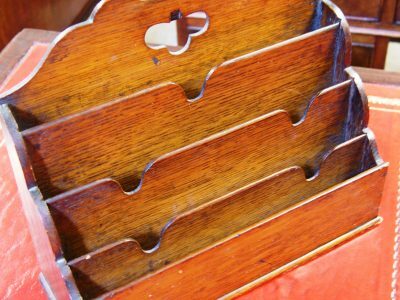 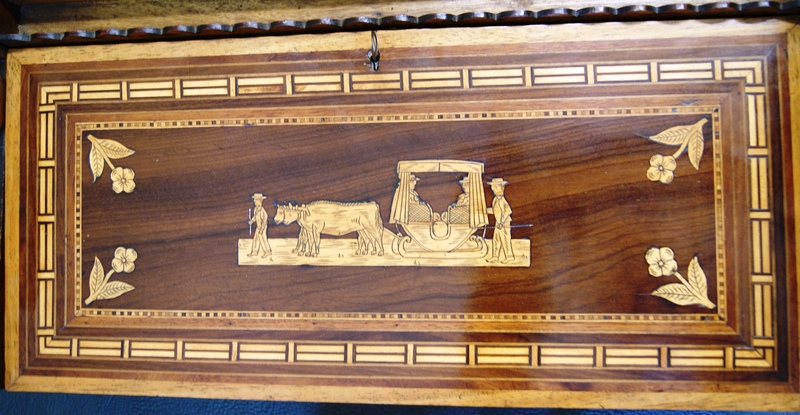 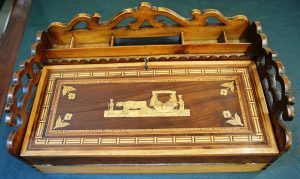 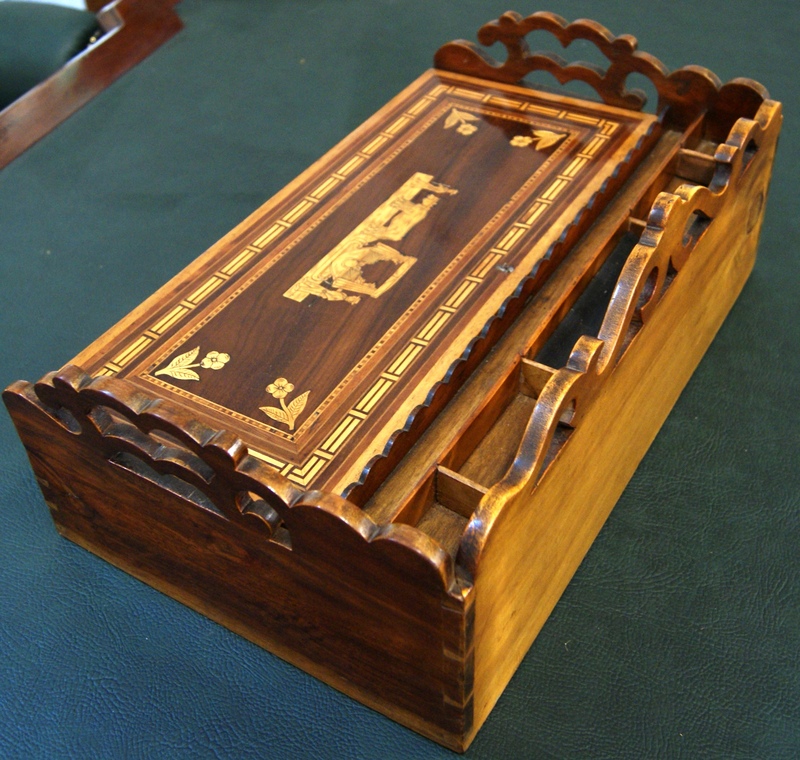 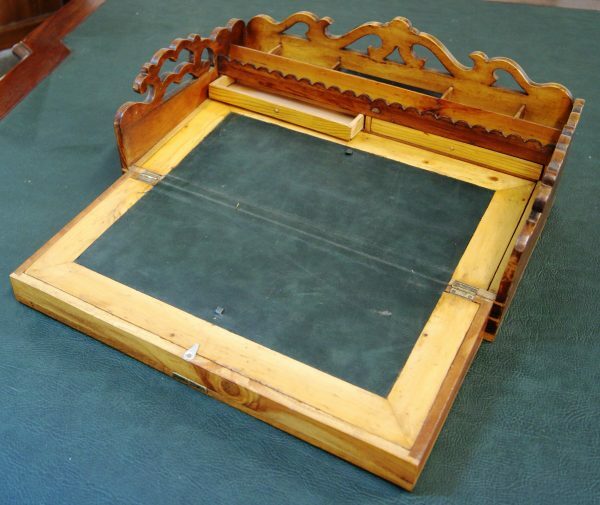 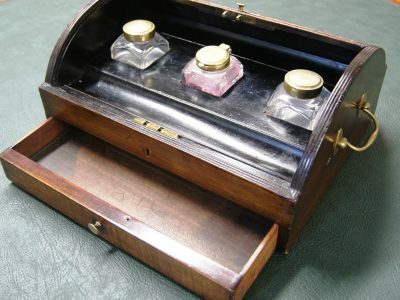 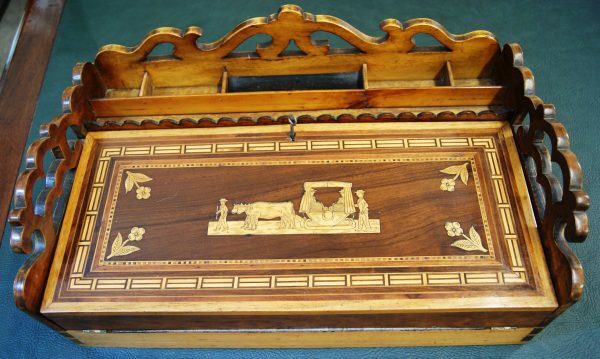 This writing box or slope inlaid with yew, ebony ,boxwood and arbustus wood is a perfect example & in very good original condition complete in every way including its original working lock & key. 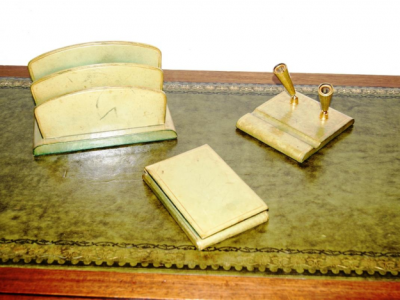 Green Leather Desk Set – 20th Cent.